It’s been the talk of the town that Apple might be planning to fully seize the holiday opportunity and finally unveil their long-awaited iPad Pro, MacBook and MacBook Air devices. According to recent updates, the Apple event is not afar and October could be the month holding the Fall 2018 event. If we recall the ‘Gather Round’ event Apple held in September, it was solely for Apple’s new iPhone series and Apple watches. Now new iPad and MacBook releases aren’t usually coupled with iPhone releases. Apple missing out on them in their last event might just mean that they are planning to make a comeback. Much like they did back in 2016 to bring the refreshed MacBook Pros in the market after a few weeks of their iPhone 7 release. 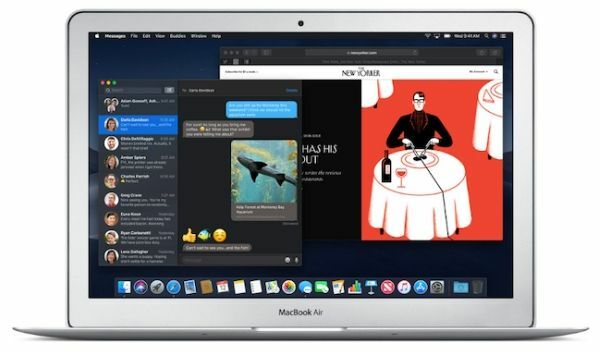 Do we see a MacBook Air upgrade? For over a year we have been caught in the hopes of a 13-inch low priced MacBook Air. We don’t know if the device will be called ‘Air’ for that matter. Apple could place them in the 12-inch MacBook family or the MacBook Air series. According to Bloomberg, the design of the new MacBook might be inspired by the Air family. It is expected that the new MacBook will be handy for schools, students and bargain hunters given its easy on the pocket price tag. That also means that Apple is reaching out to its consumers who were put off by the $1300 price tag on their 12-inch MacBooks. But that was back in 2015. The current MacBook Air does lack a good screen so, as an upgrade, the new laptop will be featuring a ‘Retina display’ as well as slimmer bezels from the MacBook Pro. Another expected improvement in the MacBooks might be its processors as the last boost Apple gave to it was in 2017 but even then, it was not a mentionable upgrade. I think that the Whiskey Lake chip released by Intel a few months ago might just have opened an opportunity for Apple to bump up their outdated MacBook Airs which are still running on 5th gen processors. Considering Apple is going to market the new MacBook ‘Air’ towards light pocketed users, the device should cost from $800 to $1200. But we have reason to believe that it’s going to be for $1000. Is a 12-inch MacBook in the picture? Apart from the MacBook Air rumors, there have also been news that Apple might also be planning to expand their much popular MacBook family. Similar to MacBook Air, we are expecting a processor boost in MacBooks as well. We believe that the Intel’s Amber Lake Y series processor (also announced in August) might be the best fit for this machine since improved battery performance and processing power is just what MacBooks need at the moment. At this point, it’s all speculation since Apple has been too clammed up regarding their Fall event, let alone the expected releases of their MacBooks. But if Apple focuses on their MacBook Air series with the upgrade that they rightfully deserve, they might just knock-off the 12-inch MacBooks off the big shelves at that too with a cheaper tag. Encouraged and zealous writer. I have been working with technical news, reviews, and blogs longer than I can remember. Writing for me has always been a passion more than a profession. I believe this keeps me updated and aware of all new reforms in technology. Welcome to Laptop Under Budget – A website focused to help people in buying best laptop within their budget. We compile list of top laptops in different price ranges and for satisfying various needs. So, what type of laptop you are looking for? What is your budget? Check out our different laptop buying guides to buy best laptop within your budget. Check out our About us page to know how we pick laptops for our laptop buying guides.